Here’s why I enjoy bad old cars. I guess that, as a youngster, many of my hobbies, interests and pastimes were probably not those normally associated with a teenage boy growing up in the 1980s. You see, when many other kids my age were playing football in the park on those seemingly long summer evenings, I was ringing church bells. When most other, dare I say it, normal boys were playing computer games or building model planes, I would spend hours walking along miles of disused railway lines trying to recapture in my mind the sight and smell of hissing steam. I would often spend what seemed to be hours leaning over the footbridge near to Darlington Bank Top station waiting for the scream and the smell of an HST InterCity 125 departing for Edinburgh or London King’s Cross on notch five (full throttle), revelling in the glory of a face full of hot diesel fumes as she passed with gathering momentum just a few feet beneath me. I did, of course, have other interests which conformed more to the norm, like bikes and swimming, and, yes, I did have a girlfriend – although her dad did work for British Rail! One thing I did have a passion for was collecting car brochures. I would literally cycle for miles visiting Car Dealers of all marques for the latest monthly range brochures or information on new models. My home town used to have a large VAG Dealer which was also a quattro agent and I got to know one of the salesmen, Malcolm Longstaff, quite well. Car sales staff in those days were mature, middle-aged people, experienced in the trade and often full of character. A local Honda Dealer employed a salesman called Ian who took me and a friend called Gareth Evens along the A66 in the new twin-cam Honda CRX at speeds you wouldn’t believe after he shut up shop one evening. Another time, he showed off his superb driving skills in a brand new Prelude 2.0i-16. Mind you, in all fairness, most of the dealers I used to ‘pester’ were welcoming and, providing you didn’t make a nuisance of yourself, made you feel like a grown-up – Ian Sale, Graham Mayes, Roger Chinnery, Peter Rowe, Alasdair Machonachie and many more – I salute you! I still have many of the brochures collected all those years ago and will never part with them, not even for a gold pig – a phrase often used by my missus. When I first started selling cars for a living, I remembered my childhood hobby and never used to throw out kids that would sometimes ask for a brochure in the showroom – today’s enthusiast is tomorrow’s customer. I recall that a now long-gone local dealer, who had a reputation for not exactly being the first at customer care, tried to charge me £1 for a brochure and then told me to **** off when I queried why. Sod them, I never wanted a Mazda 323 anyway. I was forever being told off for not clearing my room up as a child, brochures scattered all over the floor, Blu Tac trodden into the carpet and small patches of missing wallpaper from where I had removed the Ford Sierra XR4i poster and put up the Rover SD1 Vanden Plas EFi. Back in the 1980s, the comprehensive school which I attended had a large catchment area and, consequently, all makes and models of cars would ferry the inmates to and from our school. I’m sure many readers of a certain age will remember the horror and embarrassment of mum or dad taking them to school especially if the family motor resembled something from The Beverley Hillbillies. 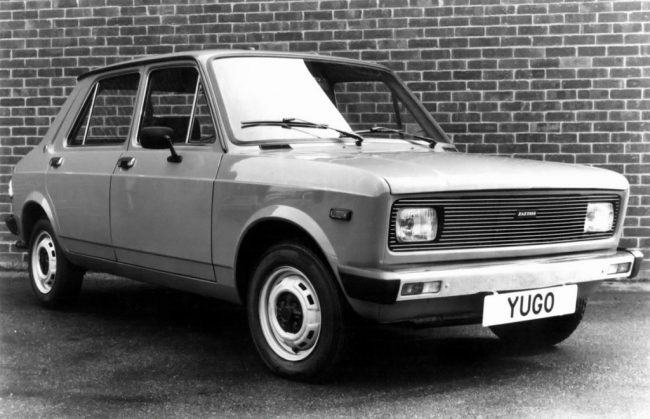 Around this time, Yugo first started to import a range of cars based on the obsolete Fiat 128 model. I had a friend who’s dad bought one of these bargain basement Eastern Bloc chariots – he would beg his dad to drop him off short of the school to save the shame of us petrolheads ribbing him rotten about his dad’s car. Even some of the teachers had some iffy cars, the most comical of all being Mr Kirby – our music teacher of well over 6ft. Every morning he would pop and fart his way to school in his wife’s 76/P reg powder blue and rust Fiat 126. Every now and again we would open the boot to swap the plug leads over for lots of hilarious backfiring at home time – Sorry Sir. Back in days of old, there were some truly dreadful cars to be had. My family lived in Suffolk for a while in 1985 and a few miles outside the town you could find a really run-down looking village garage which also happened to be an FSO Dealer – you simply wouldn’t believe me if I went into the details but on proud display in the dark, dank and dusty showroom sat a doom blue 125P saloon complete with its miserable vinyl upholstery. Just a few miles the other way was a little Skoda Dealer with an elderly owner who was the kindest man I’d ever met. Skoda brochures were one sided A4 pamphlets in those days, one for each model with witty statements on the front such as ‘the hardy 120LSE’ or ‘the sporting Skoda Rapid coupe’. I kept it to myself but I had a soft spot for these rear-engined cars and, over the years, I have driven a few too and no smell is as evocative as an Eastern Bloc car with nylon upholstery – if I close my eyes, I can still smell it. I still have a soft spot for these rattling cars! All of the above lead me to think about modern cars versus old cheap and cheerful stuff. Take the Lada Riva for example, if the urban myth was true, they had the best heater of any car around at the time – I disagree. I owned two Rivas many years ago, the first being an 86/D 1300SL followed by an 87/E model. The earlier one was the better car but, even still, so many things went wrong, broke or simply snapped off. You couldn’t fault the overall body and chassis except for its habit of rusting around the wings, but its chassis and general solidity was almost to Volvo standards. Where the wheels fell off, so to speak, was the interior quality, fit and finish. Yes, the Riva had a good level of equipment such as a rev counter, headlamp wipers, volt meter, comfy high-back front seats and acceptable refinement, but the standard of the plastics used inside was truly shocking. The interior trim of most early Soviet or Communist cars had such sharp edges you could almost have a shave, while some of the panel gaps were so large, you could enter the car and drive away with no need to even open the door. I remember fondly that, on one occasion, I was bowling along the A45 at speed on a winter’s morning when the heater valve split soaking my left leg with boiling hot coolant, turning the inside of my car into a Turkish sauna and leaving me with zero visibility thanks to the condensation inside the windows. Repairing the part that very afternoon, I gashed my hand quite badly on a sharp, unpainted piece of metal underneath the dashboard – don’t talk to me about Lada heaters! A good friend around this time ran an E-plate Skoda 120LSE – I was so jealous of his five-speed gearbox. He owned the car for about two years in which time he had the whole braking system overhauled, cylinder head gasket, exhaust, throttle cable and heater matrix. His previous car, a Series 2 Marina 1.8 was not even half as much trouble. My dad’s friend Carl bought a brand new FSO 125P saloon that needed reconditioned rear brake calipers fitting to it after 18 months. I fitted the aforementioned parts and remember being shocked at the car’s plastic seats, strip-type speedometer and ponderous steering – all this in a car that was registered in 1990. Lada moved the game forward slightly in the late 1980s with its hatchback Samara range but, even so, these were truly insipid cars with alarming habits of either blowing up or breaking down. One mechanic I knew well-described the Samara as a car that brought Russia into the 1970s – in 1986. Yes, there were some truly dreadful cars to be bought, even as recently as 20 odd years ago. Who remembers the advert for the Skoda Favorit? Another Eastern Bloc take on a five-door hatchback. They ran a press advert saying ‘brand new Skoda or a second-hand Golf.’ Erm…. I’ll take the Golf thank you, but how ironic if you ponder for a moment. However, the Russians and the Slovakians weren’t only the guilty parties – who recalls how dreadful the early Korean stuff used to be? The Hyundai Pony made falling on a sword a more appealing experience than driving while the early kit from Proton was as up to date and pleasurable as kneeling on rosemary beads. I know these cars were built to a cost and offered a new car to the masses that could historically only afford used ones, but the pay off quite often would be hysterical laughter, miserable reliability and the feeling of being a social leper. Lada ceased importing cars into the UK in 1997, Yugo disappeared following the atrocities and political uprising and FSO no longer produce cars. One last hurrah for the bargain bucket car came in the form of Daewoo. They marketed themselves as ‘the biggest car maker you never heard of’ with a range of cars based on the old Astra, Belmont and Cavalier Mk2. Everything was included in the price, namely road tax, long warranty, free servicing, free collection and delivery when requiring oil changes. Someone within this once massive Korean company thought it would be a really good idea to offer cars with no price haggling and all maintenance catered for by Halfords, two recipes for disaster. 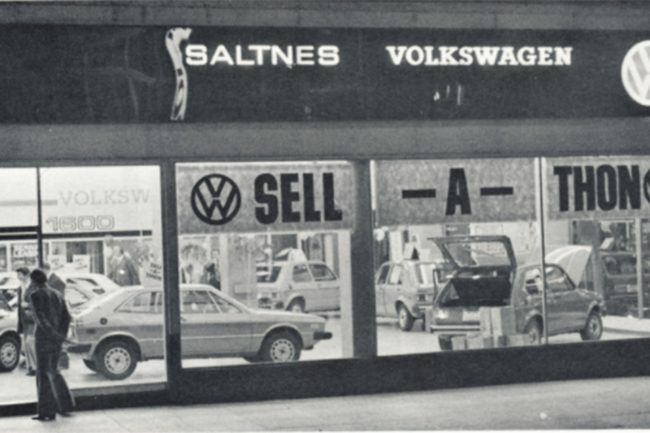 Initially, sales were quite good but the rest of the motor manufacturers closed ranks and tales of rival makers or dealers refusing to take in Daewoos for part exchange became legendary, slowly killing sales, and service bays run by Halfords simply couldn’t cope. Daewoo went bust and were bailed out by General Motors which re-branded the marque as Chevrolet. So… you can’t buy a bad new car anymore? Suffice to say, after looking back at some of the horrors on four wheels – some of which I have owned – I can safely say that, in my opinion, no one in today’s motoring world makes a really bad car anymore. There quite simply is no market for nasty, badly made cars. We look back on Eastern Bloc cars with rose-tinted spectacles in pretty much the same way as we do with our own British cars, but one thing is true – we still love them and we always will thanks to nostalgia! Falling onto a sword, brilliant! I was chuckling for ages. I used to work for a Skoda Dealer in the early eighties – they were good cars really, but not a long-term proposition. The Rapid Coupe was very smart. Has anyone ever seen a UK-market only Rapid Convertible? It was the cheapest convertible on the market back then. 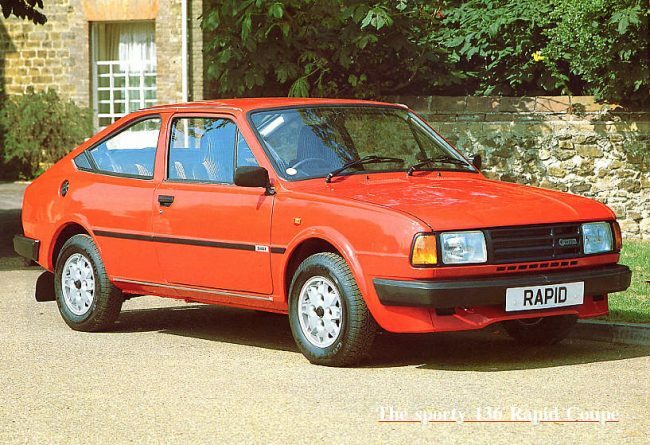 Yes, I do remember the Rapid Cabrio – am I right in thinking some company in Kent did the conversions for Skoda? A very good friend ran a 120LSE while a colleague ran an earlyish 105. I drove the former a few times and, so long as you drove it sensibly, the suspension was soft and comfy and it returned reasonable fuel consumption – but boy, oh boy, those Jikov carburettors were bloody awful! I had a Samara hack for a week back when they were brand new as a discourtesy car when my Metro was rear ended by a Fiesta. Most new cars have that smell – glue or something. The Samara, with 50 miles on it, smelt more like a blocked up loo combined with some very damp carpet and several weeks of rain. It was supposed to be one of ‘the new wave’ of cars from Russia but was awful. The steering was heavy and the wheel had a line of sharp plastic from the moulding all the way round the edge – in fact all of the plastic resembled that hard stuff you find very cheap Korean toys made out of, and all brown. Very, very brown except for the visible untrimmed plain metal – white in this example with strange yellow stains coming out from under the (brown) door trims. Oh, and when it rained it didn’t want to go. I was happy to get my 1.1 Metro back. The early Favorit was nicer even though its front end kind of looked like they had left some parts off. The guys moulding the interior certainly didn’t like to do too many curves or use too soft a material. The estate was a brilliant workhorse though. You do, of course, have to compare these to the late 1980s/early 1990s Mini when it ‘gained’ the Clubman instrument pack and Allegro 2 steering wheel. The tacked-on switch block on the driver’s side for the fog lights was such a delight and you only laughed as you caught your knee on it – again. The radio which was mounted in front of the passenger and a bit of a reach for the driver was another key safety feature. Much of that car was a wonderful opportunity to spot the BL circular logos on various parts fitted to this brand new car made by Rover. I believe that Lada’s peak year for sales in the UK was 1988. Interesting that – I often take Quent’s remarks with a bit of salt. I recall that, back in the early days of Top Gear magazine, he described the Riva estate as “anti-establishment” motoring and almost praised the car. The Lada saloons of the 1970’s and, subsequently, the Riva were possibly the best East European cars – they were far less agricultural than the FSO 125 and conformed more to the norm than the Skoda Estelle. Later Riva 1300s were unique in having a belt driven camshaft (the same belt as a 2.0 Ford Pinto lump none the less) and an electric cooling fan – these models were much quieter and more fuel efficient than the 1200 and 1600 which had the noisier, rattling timing chain power unit. My own E plate 1300 SL was retro-fitted with a 5 speed box from a scrapped 1600SLX and made 70mph cruising a joy with a shade over 3200rpm on the dial instead of the normal ear-splitting 4000rpm. The steering wheel was thrown away in lieu of a nice smaller padded type from a Fiat Regata (same splines). I had some brilliant fun with the two Rivas I owned. Testimony to the ruggedness of the design was demonstrated when I drove over a manhole with a missing cover at speed. It ripped the tyre and inner tube to shreds and bent the wheel rim like you wouldn’t believe. The spare was fitted and the only other work that was necessary – and I kid you not – was that the tracking needed setting again. I can’t say the same about the later Samara, though. My ex-girlfriend’s mum ran a 1.5 Flyte. It was the most unreliable car I have ever known in my life. Her local dealer, Longmarsh of Wellingborough, did everything possible to cure the endless faults that kept cropping up, but her patience ran out and she subsequently got rid of the car and purchased a 106. I ran Lada’s for almost 3 years and, in that time, yes, they used to play up now and again, but nothing was impossible to cure or put right. Loads of cottage industry Lada “specialists” used to exist too. One notable outfit was Carrington Cars in Kettering, Northants – a brilliant bunch of lads. When I sold my last one, I sold them all the spare parts which had accrued in my shed. The irony is that, back in the 1980s, we mocked these cars and ridiculed the fact that they were based on obsolete, recycled Fiats. Fast forward to 2005 and, while Skoda is still around making decent cars, our own beloved Rover is selling recycled Hondas and even some heap imported from India. Rover became Britain’s Lada and, if you had suggested that in the 1980s, you would have laughed all the more. Mike, I collected car brochures when I was young too and still have many of them (mainly Ford and Vauxhall) and a few copies of Vauxhall’s in-house magazine called “Vauxhall Motorist” from the mid/late 1960s. The Workshop Manager at our local Vauxhall Dealer used to get them for me when my dad’s VX4/90 was in for service. I also remember that, on family day trips out, I was more happier being taken to car showrooms than museums! An early anorak?? I actually used to work in Huddersfield’s Lada/Proton Dealers in the mid 1990s as a young Trainee Salesman. I was only 18 and, even at that age, I was a fully fledged car geek. I drove a hearing aid beige ’86 Fiesta Popular Plus 950cc so any car that went faster than that was cool. The Riva, Niva and Samara were all still in production and, even though the majority of sales were now coming from Proton owners, there were still a few loyal Lada buyers. I have very fond memories though I do remember my first experience of driving a Samara. The brakes were EXTREMELY unresponsive and didn’t do anything until the pedal was very near to the floor which caused a few very hair raising moments! The cars were generally reliable but the interior plastics were made of very hard, flimsy and brittle material. Special editions became the norm with loads of tacky colour-coded add ons including skirts and spoilers. I also remember having weekly visits from a couple of Russians who would literally buy any Lada part exchange we got in and have them sent back home -mainly old Rivas and a few of the original round light saloons from the 1970s. Condition not important! LOL. I would disagree that there was anything bad about the first generation Protons, although the basic LE version was rather stark and basic. I bought a 1992 1500 GLS model in 1998 after the engine on an Austin Montego blew up – the car had to be scrapped and I needed a cheap, reliable car for work. I was offered the Proton with only 45,000 miles on the clock and a full service history for two grand. I owned the Proton for two years and its Mitsubishi drivetrain ensured nothing went wrong and also provided it with quite a bit of power, reaching 100 mph with ease on the A66. All I had to spend on this car was two services, a new cambelt at 50,000 miles and two new tyres – it never went wrong. 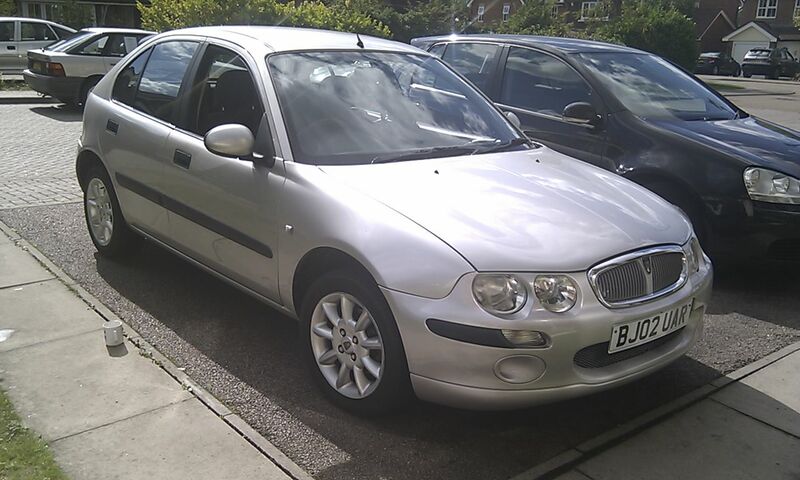 I’ll admit it wasn’t perfect: the handling was a bit wayward, it looked old-fashioned and the fuel consumption could be heavy around town, but the Proton was a reliable five seater saloon that was quite good to drive, well-equipped and never let me down. I had a SEAT Ibiza 1.9 SDi after that – that could better 60 mpg at times and was quite refined for its size, but suffered from slack build quality and annoying minor faults which were lacking in the Proton even if it was quite good mechanically. I never said that Protons were bad – they were as reliable as a Swiss watch. Simply, the big issue with Protons was that they were a CLP (cost-lead purchase) that no one aspired to own. Pretty much in a similar vein to the Ladas and Skodas of olden days…! Bumping this up about car dealerships, the best one in Whitehaven in the early eighties was Studholme Dickson, an Austin Rover main dealer that sold everything from Minis to Range Rovers and was like an aircraft hangar inside. Used to regularly get brochures there, and had the original Austin Ambassador and Triumph Acclaim brochures when the cars were launched, and obtained two full Austin Rover brochures in 1983 and 1984. Nowadays the dealership is houses. I worked at Studholme Dickson in 1987 as trainee salesman. Had a B reg Targa Red Metro City X as company car. (The X meant you got a rear washwipe)Pity the heater motor never worked. Real meusum of a building. Loved the way rain water would drip through the asbestos roof leaving asbestos deposits on cars paintwork. And the way the parquet floor in the main showroom regularly flooded with rainwater, no amount of polishing could diguise the pong of decomposing wood! Disaster of a place, but it was fun watching the main salesman Peter Hodgson attempting to flog Montegos. What a lad he was/is…described the mess of half eaten Yorkie bars and kebab wrappers and in my company Metro as a pigheap, he was right! Hi Peter! In the Eighties a friend of mine bought a Lada/Shiguli 1,500 with kind of luxury equipment. It was four years old and cost close to nothing. The owner’s manual made for interesting reading, particularly the section with instructions for driving in temperatures below minus forty centigrade. It was recommended to drain the engine oil and coolant and heat them up in the kitchen before putting them back in the engine which was to be cranked over manually before being started using the battery that was kept indoors during the night. The car had an incredible heater and came with about thirty kilograms of tool kit, including a big grease gun and a large air pump with wooden handle. During the late 80s I worked in the building trade and covered 30,000 miles per year we had to go where the work was unfortunately. Back then I was driving a MG metro turbo and never liked putting so many miles on the clock. Then a work colleague had just purchased a brand new Yugo Zastava a little hatchback I was telling him about the miles my poor metro was doing and he give me a tour of his Yugo and nearly convinced me to buy one (cheap as chips he said) Ideal for work especially in the building trade. That very same day at the end of work we headed home on the A500 towards the M6 north. What’s wrong with the Yugo I asked and he said come take a look ! He said can you believe this has happened ? but me and my passenger was pissin ourselves. That was the day that changed my mind about buying one forever. Talking of bad teachers cars in the 80s we had a supply teacher called Mr King who drove a Suzuki SC100! Another had a Hyundai Stellar and another had for a short period a pea green Aggro (remember it sitting in the car park for a couple of weeks as it packed up). The worst vehicle at my school must have been the supply teacher with a moped! You can guess what he got sung at. forgot to say a neighbour had a Yugo – it was more broken than it was working – in fact he received a replacement model as the first one was always broken – and this was exactly the same. After about four years it had rusted away. Some friends of the family had an odd taste in cars mosty,bought second hand, owning a VW Beetle, Austin Maxi, Ford Cortina Estate, & a B reg Yugo (the one based in the Fiat 128). By the early 1990s it was in bad shape & decided it was beyond saving. The Cortina was in better shape, & not long afterwards the family managed to get a Maestro off a parent who was giving up driving. Been working in Serbia quite a bit this year. There are still hundreds of Yugos and Zastavas running around in all sorts of conditions. Even saw a cabriolet once! A great article and thanks for the HS125 photo. I’d quite like some of the eastern European models like a Lada or Polski Fiat for fun, but even I draw the line with Daewoo. My Maestro now is better than a new Matiz we bought on the strength of the warranty as a second car. Wheel bearings (twice), aux. belt tensioner and exhaust all failed in its first year. My wife was on first name terms in the dealership. I wouldn’t want that back. Yes, a great image of the HS125 in BR period livery… looks very neat & clean! Perhaps British Rail’s greatest achievement, a high speed diesel train built during an economically troubled time when electrification of the ECML and GWML was ruled out on cost grounds, and a 125 mph diesel train was considered a far cheaper option. 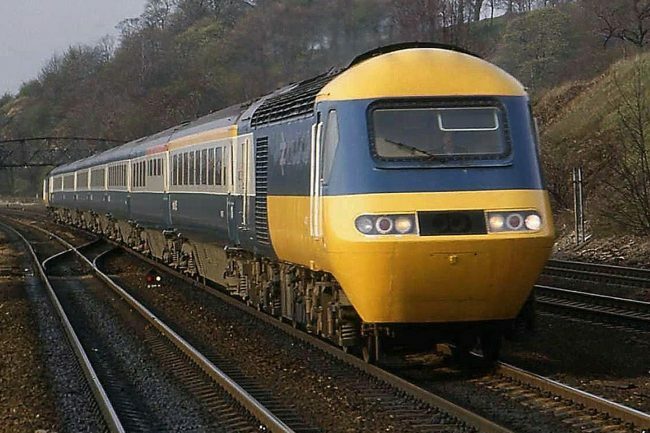 You have to remember how popular the Inter City 125 was when it was introduced, it took an hour off London- Newcastle journey times and was a big improvement on the trains it replaced as it was fully air condtioned and had better catering facilties. Also the design has stood the test of time and most Inter City 125s are still running now. Another big selling point when the train was introduced, you could turn up at the station and go, as tickets were divided into first and second class only, with a few awayday options. These days to use Virgin’s Pendolinos, which are no faster and seem less comfortable, buying on the day of travel will seriously hurt your bank balance, and cheap tickets have to be bought weeks in advance, if you can find them, and are very restrictive. Give me the railways of 1978 anyday, with all their faults. I don’t remember Daewoo getting much bad press on quality issues back in the day, though I’ve heard from a few people they could give trouble. The problem was Halfords were given most of the Daewoo franchises and as they’d never sold cars before, the customer care was haphazard and the staff weren’t trained properly how to maintain them. Also being based on old Vauxhall designs, these weren’t as reliable as if, like Hyundai and Kia, they’d used Japanese technology. JD Power never rated Daewoo customer care from Halfords and many owners regarded them as clueless. I was thinking the Halfords connection might explain things. The Stockport dealership had a dedicated showroom. They were sold from Halfords in Workington in the nineties. I have no knowledge of them as car dealers and never had any desire to own a Daewoo, but do remember asking them for a headlight bulb for a 55 plate Nissan Almera and being told they didn’t stock them due to a problem with bulbs on 51 plate cars didn’t inspire any confidence. Try asking for LHM suspension fluid…. I had the honour and the pleasure of working with Ian S when he worked briefly in Durham, later in his career. The tales I could tell! What a star. I can remember FSO setting up a dealership next to a scrapyard in Tynemouth. Not that Tynemouth is a bad place, but having a dealership, which was a typical FSO two car showroom, next to a scrap yard said it all really. Don’t think it lasted long either, same as one in Whitehaven closed in the late eighties and is now a pool hall. The 125 was/is great and Great Western are having trouble matching their performance on diesel with the trains replacing them and many passengers prefer the old gal and her comfy mk3 coaches. I had an almost new Skoda Rapid 136 in black based on good reviews in Autocar and even Car magazine liked them too. I loved it – it was great to drive and had real character. Comfortable too and cruised quietly. I didn’t have problems with her and really regret getting rid of her. Great article, brings back plenty of 1980s growing up memories! in 1997 we had both ends of the spectrum at home, mum had a new 1200 Lada Riva and dad was driving a Rover Sd1. Guess who I preferred to pick me up from school? Still got the tyre lever from the Lada tool kit, really usefull bit of kit and has been used on many occasions. A great read, reminds me of how I got into cars in the 1980s. I still have loads of what are now ‘classic car brochures’, including some Ferrari ones. To be honest, the period, UK produced, Maranello brochures were rather disappointing, never did the 308GTB or 512BB justice, although I do have an Italian produced Mondial brochure that is a work of art. In the mid 80’s my dad was impressed with the FSO Polonez at the motor show. 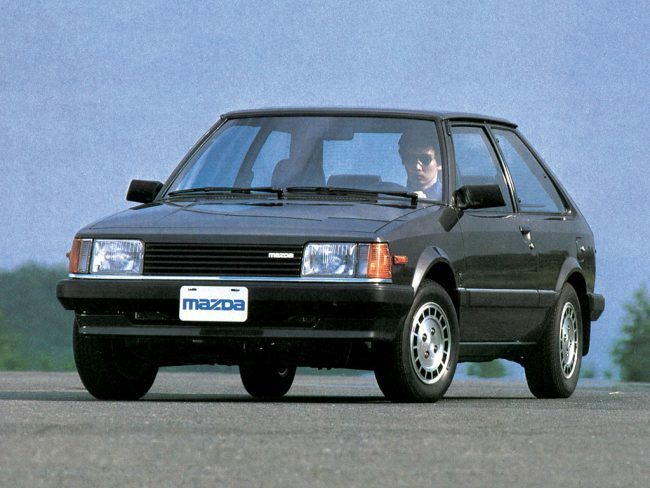 He dragged the family to the FSO dealer to buy a Polonez & we were all relieved there was a strike on at the factory. Think Mum was especially relieved. He didn’t seem as impressed by Ladas & Skoda. Now I’m working at Volkswagen group Australia & driving a Skoda Octavia RS. 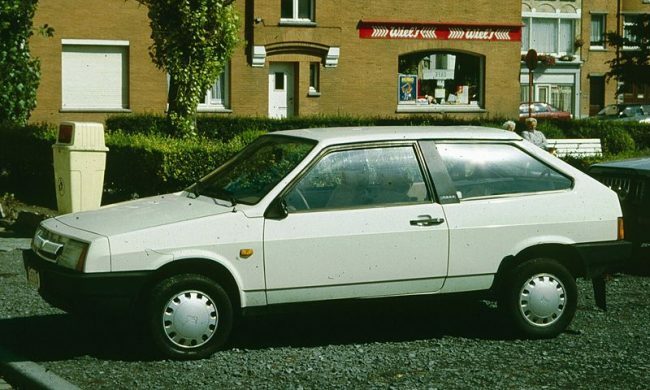 FSO did make a comeback in the mid nineties with a new Polonez and a pick up truck that used the rock solid Peugeot XUD engine that gave the car 50 mpg economy and a reasonable amount of refinement compared with the awful 1.3 FSO engines of old. Problem was, people remembered the FSO of old and few people bought them, and they set up dealerships in places like Douglas in Ayrshire that few people had heard of. I used to get Car magazine every month with my pocket money and at Christmas, used to buy What Car and Motorsport to complement it. Always loved the columns by LJK Setright and Ronald Barker, and the Good, The Bad and The Ugly. I do recall the GBU at the height of the save MG campaign in 1980, saying of the MGB, ” at last dies soon”( or something similar). While this was heresy to the considerable army of MG lovers, they were speaking the truth about the elderly sports car. It had been ruined by American safety requirements, performance was little better than a 1.6 litre Cortina, and it looked 15 years out of date. Much preferred the MG revival with the Metro, which was in line with the BMC policy of using MG for sporting versions of sixties cars, when they had something modern to sell that went quite quickly by the standards of the day. 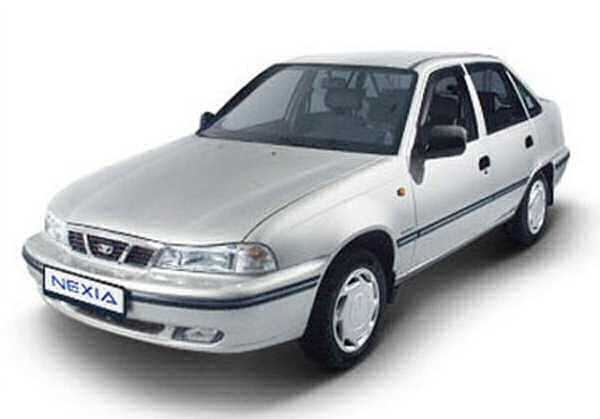 The Daewoo Nexia was a revamp of a Mk2 Astra, which in itself was not the best handling of cars, albeit spacious and economical on the motorway by virtue of the excellent (for the day) aerodynamics. The Nexia removed the bits of the Astra and replaced them with inferior parts in cheaper materials. For example the steering wheel with airbag which totally obscured the instruments if you turned it more than 30°, the nasty plastics and inferior seats were obvious, but more concerning was the disconnected steering and sloppy suspension. The Daewoo 1500cc motor was a model of noise and harshness [it had lots of both], meaning that you had to turn the tinny radio up almost all the way to hear anything of the broadcast. Many had electrical gremlins from new and we regularly used to chuck them back at Avis because of faults when they were delivered to site. Avis binned tham as soon as the warranty was up which says as lot. The Espero was somewhat better, being based on the Mk2 Cavalier, but the interiors were 15 years behind the European or Japanese opposition. Neither were particularly reliable [from experience of having these thust upon me as hire cars for my previous company]. Aircon often didn’t work properly [if fitted], ABS faults were an immediate phone call to Avis to replace the car, ditto airbag lights, engine management warning lights etc. We had a deal at work with Kennings to supply hire cars for long journeys. In the early noughties, they had a deal with Fiat to supply Bravos, one of which broke down on a very busy M6 and another started overheating and caught fire in a motorway service station. Even more dangerous than the Daewoos used by Avis, and we changed hire car companies after that, and usually were given Ford Mondeos and Vauxhall Zafiras. I’ve not seem any early Daewoos for a few years, but the next generation seemed to be better made & I remember the Matiz seemed to be a popular car & still visable on the roads. Project Drive – Working (R)overtime!